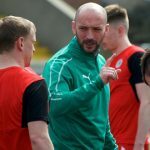 While Cliftonville were ending a good week with victory at The Belfast Loughshore Hotel Arena yesterday, a significant result was unfolding back at Solitude. 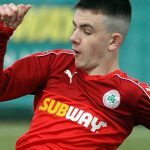 Cliftonville OIympic, who sit top of the Premiership Development League, roared to an emphatic 5-0 victory over Linfield Swifts to strengthen their challenge for the Reserve title. 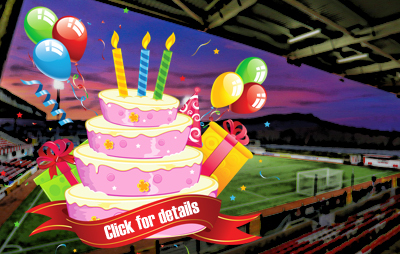 A Cillin Gilmour hat-trick plus strikes from Daniel Reynolds and Donal Rocks helped the Reds pull nine points clear of Ards II – who were held to a 1-1 draw by Coleraine – and, just as importantly, extend their advantage to 14 points over the Blues, who have an astonishing SEVEN games in hand. All at the Club congratulate Declan O’Hara’s team (who are just one goal shy of a League century for the season) on their win and wish them the very best of luck in their bid to take the crown for the fourth time in seven years.